Hand drawn by Roy Boyden on Los Angeles, California, 1939. 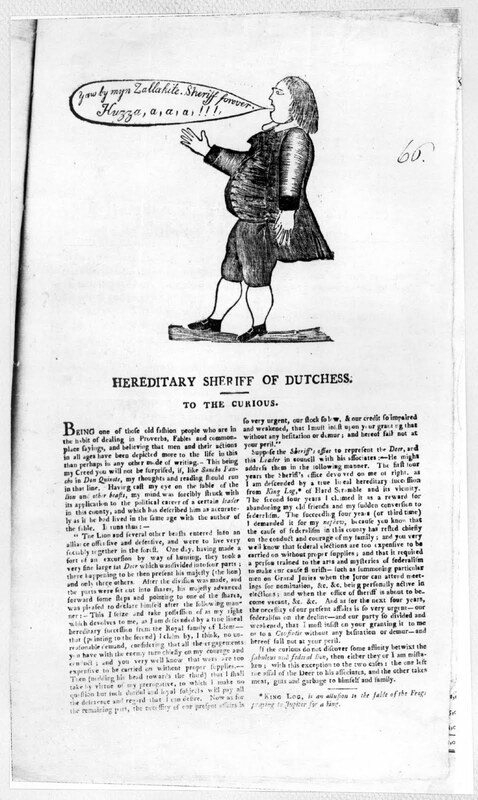 Advertising circular, 1873, front cover. 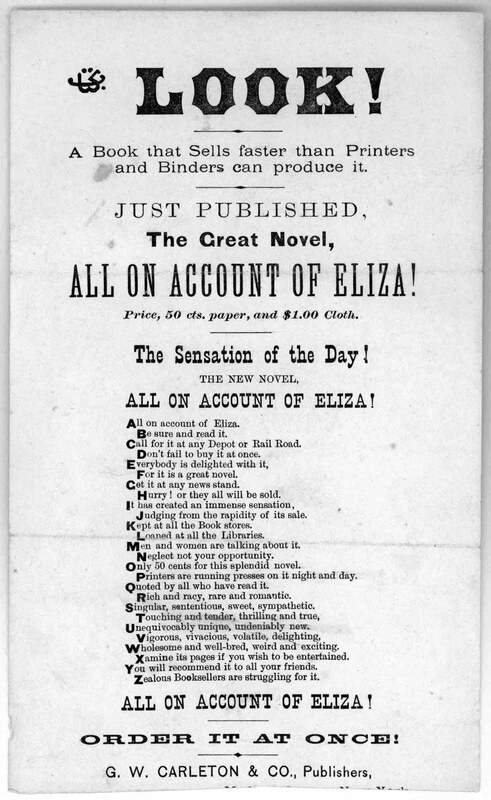 Advertising circular, 1873, back cover. 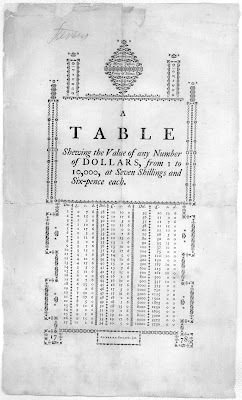 Money conversion chart from 1778. 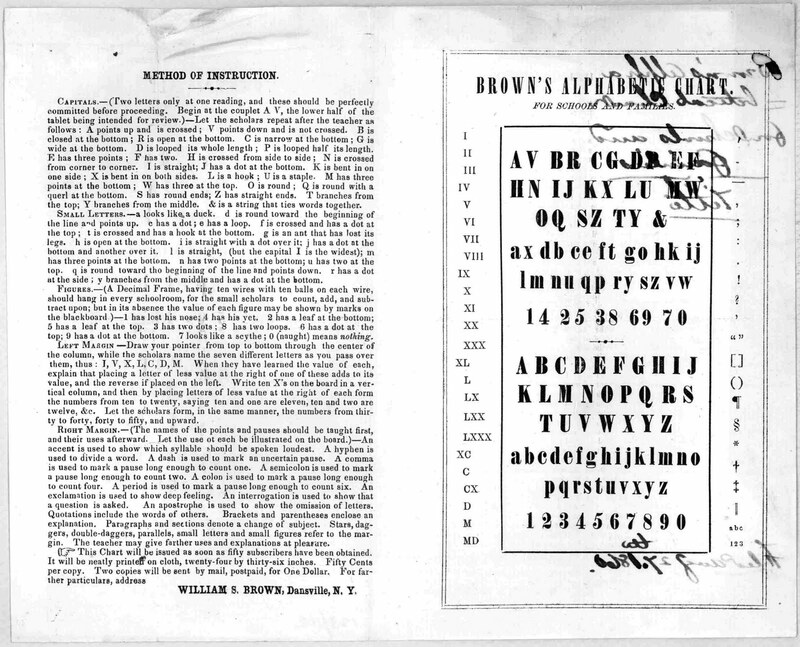 Advertisement for the School of Design, 1859. 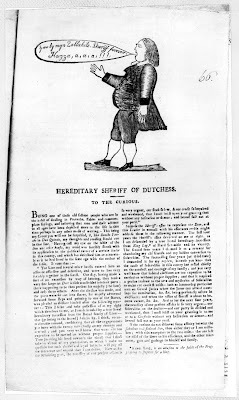 To The Curious broadside, New York, undated. 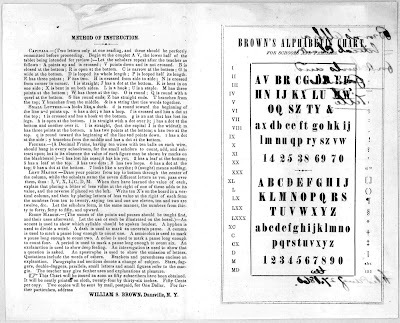 Brown's alphabet chart for schools and families, from 1860. 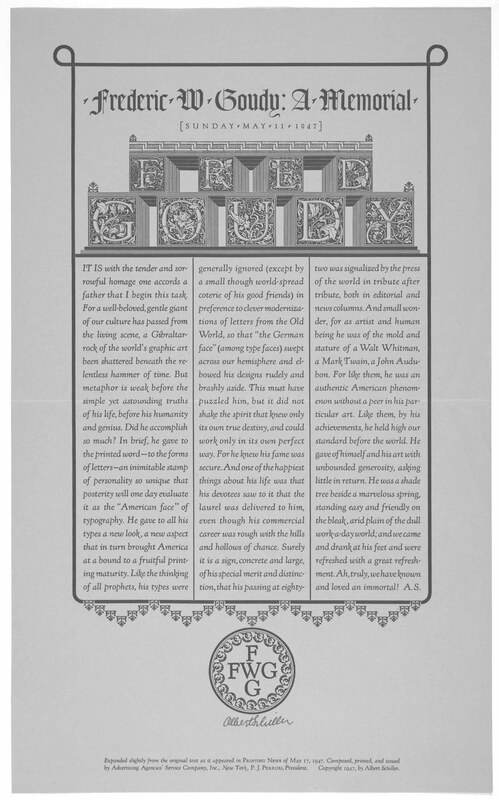 Memorial broadside for Frederick Goudy, 1947. 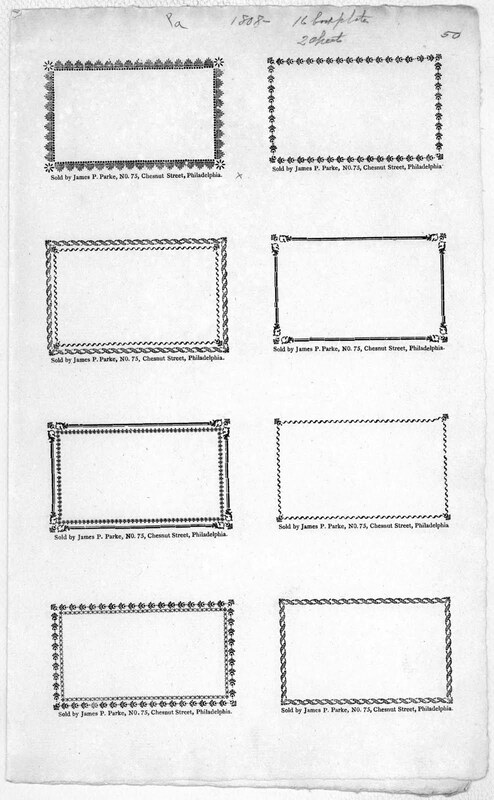 Designed by his good friend Albert Schiller. 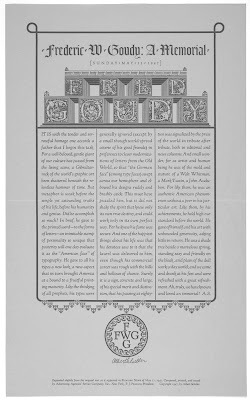 A tribute to Bruce Rogers on his 87th birthday, 1957. 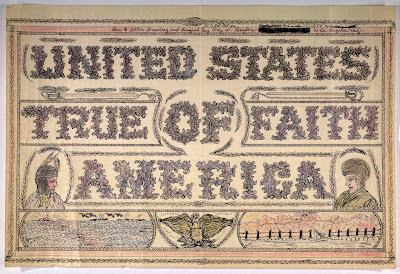 Rhode Island lottery ticket from 1826. 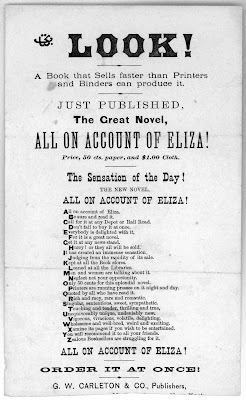 Three centuries of broadsides and ephemera from the Rare Book and Special Collections Division, Library of Congress. 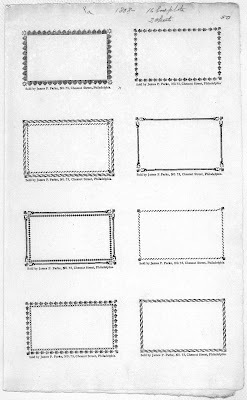 All images are clickable for enlargements.